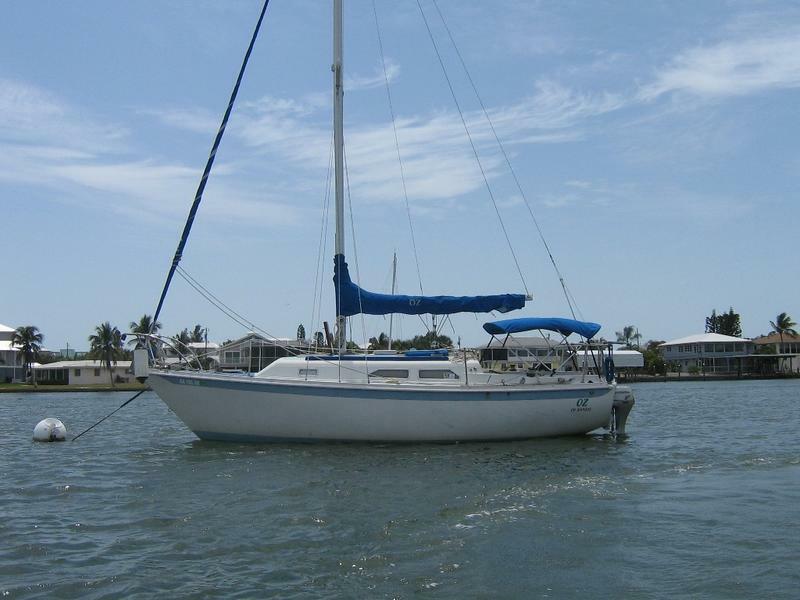 Great sailboat that packs alot for a twenty seven footer. 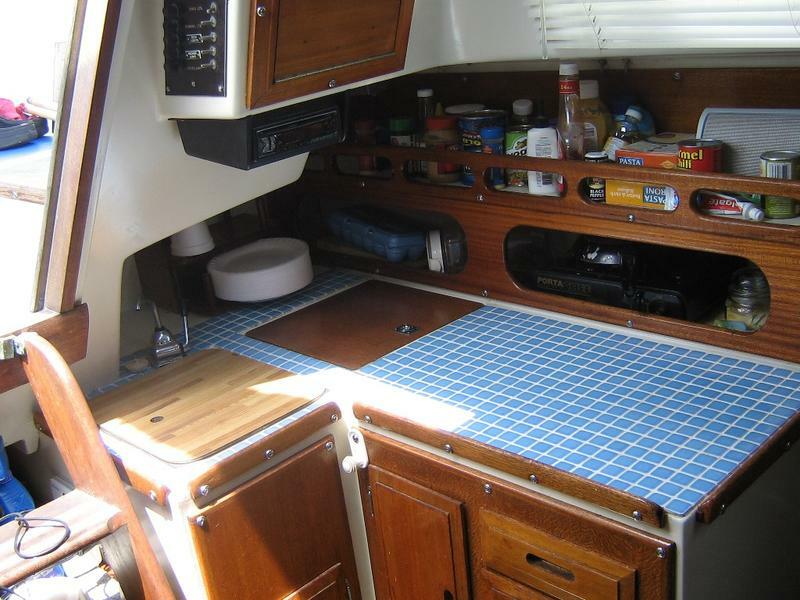 Wide sidedecks, large cockpit, v-berth, galley, salon folding table, beautiful interior woodwork. Powered by a Honda 9.9 outboard. 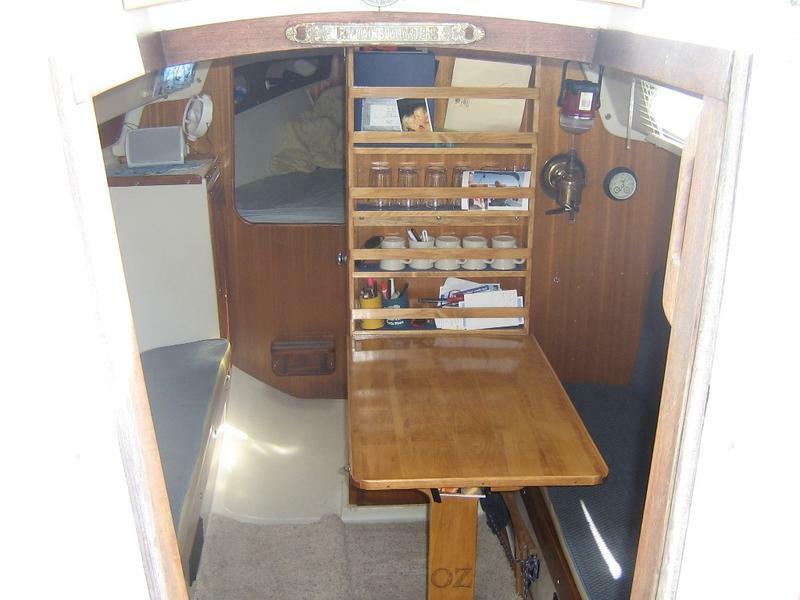 Entering the Ericson from the cockpit you will find a quarter berth to starboard aft, salon with folding table with dining for four midship and a second settee across with galley. 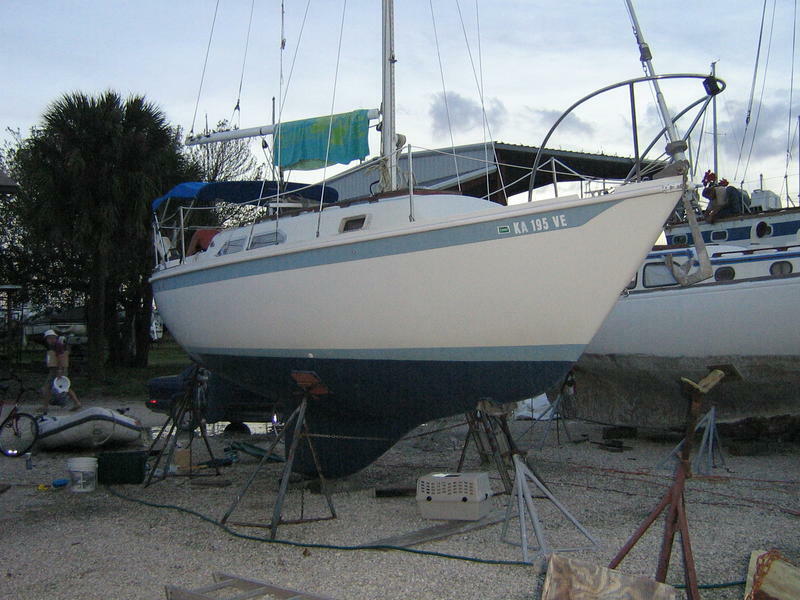 Moving forward theere is a cedar lined hanging locker to port with head to starboard side, with large v-berth forward.